The monetary policy committee of Reserve Bank of India has unanimously decided to increase the repo rate by 25 basis points to 6.25 per cent. The decision came out with the announcement of the Second Bi-monthly monetary policy review. However, Reverse Repo rate has been adjusted to 6% and the Marginal Standing Facility (MSF) Rate remains to be 6.50%. The RBI retained the GDP growth for 2018-19 at 7.4 per cent. The RBI kept the retail inflation in the range of 4.7-5.1 per cent in the first half of 2019 and 4.4 per cent in the second half of the fiscal. The reason behind hiked repo rate is considered to be the sharp rise in retail inflation which rose sharply to 4.6 per cent in April. The recent hike in crude prices & better GDP for last quarter of FY 18 suggests inflation trajectory may be on the higher side. The increase in repo rate will affect those who have borrowed from banks because it is likely to lead to an increase in the interest they pay on loans. 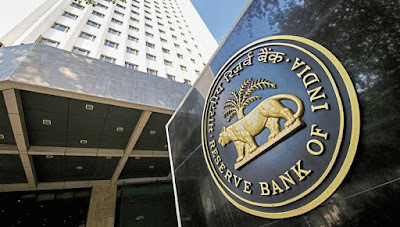 When the RBI increases the repo rate - which is the rate at which banks borrow money from the RBI - banks usually pass on the burden to the customers. It is the rate at which RBI lends money to commercial banks against the pledge of government securities whenever the banks are in need of funds. It is also called repurchase rate. Generally, these loans are for short duration up to 2 weeks. When RBI increases the repo rate, the move is generally called a tight monetary policy stance. It is the rate at which Reserve Bank of India borrows money from the bank by selling government securities. This monetary policy tool is used to control the money supply in the country. High reverse repo rate injects liquidity into the economic system by offering high profits to banks. Also called discount rate is the rate of interest at which RBI lends money to domestic banks, often in the form of very short-term loans. While high repo rate drains excess liquidity from the market as the banks have to pay high interest to obtain loan from RBI high reverse repo rate injects liquidity into the economic system by offering high profits to banks. Under MSF, banks can borrow funds up to one percentage of their net demand and time liabilities (NDTL). repo rate is used to control inflation reverse repo rate is used to control money supply in the market It is used to control volatility in the overnight inter-bank rates. Repo Rate involves selling securities to RBI with a motive to repurchase it in the future at a fixed rate of interest reverse repo rate is mere transferring of funds from one bank account to RBI account. The rate of interest on MSF is above 100 bps above the Repo Rate. The banks can borrow up to 1 percent of their net demand and time liabilities (NDTL) from this facility. I think MSF maximum limit is 2% of NDTL and it can also increase upto 2.5% in some case under special repo window. Correct me if I am wrong.